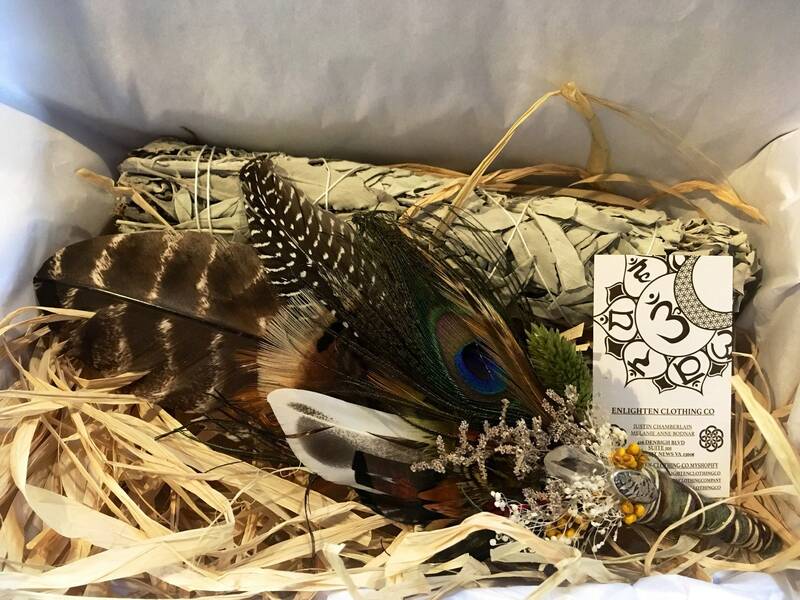 Smudging feather set, includes a handmade feather smudging fan and an 8 in. 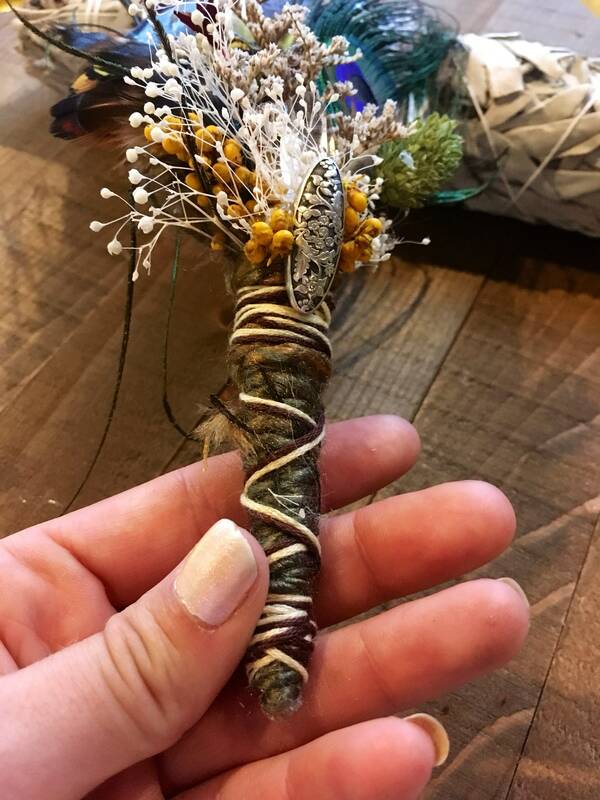 White sage smudge picked and dried in Arizona. 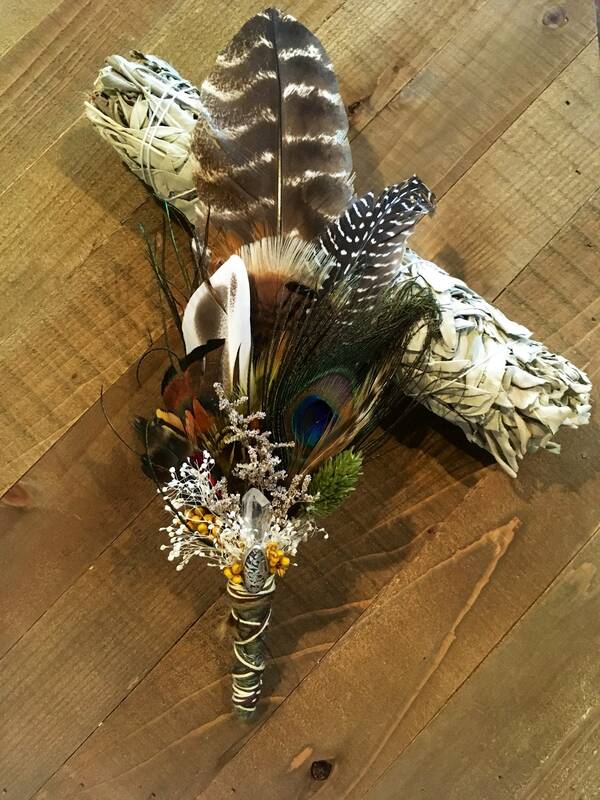 The feathers are humanely collected in Glendale, OR. 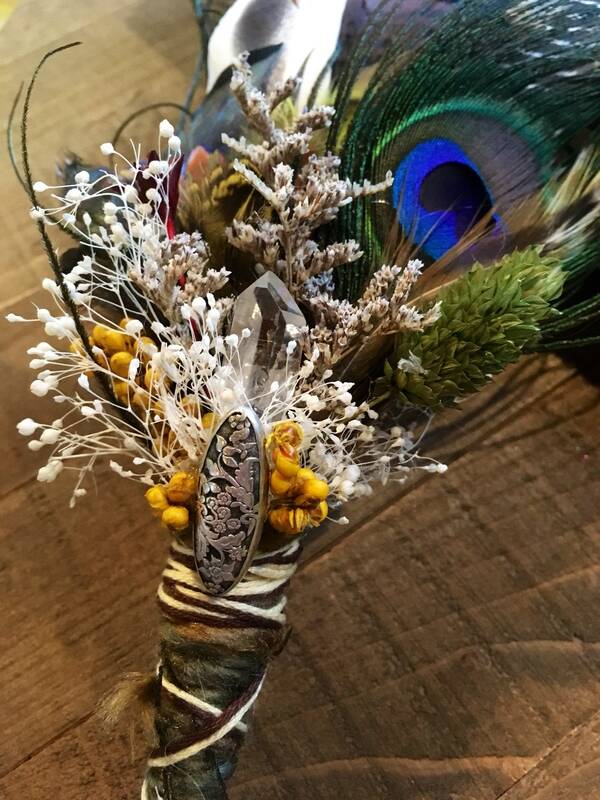 This smudge includes Turkey, rooster, peacock and pheasant feathers and also includes dried flowers, a crystal quartz point and a metal embellishment on the front. 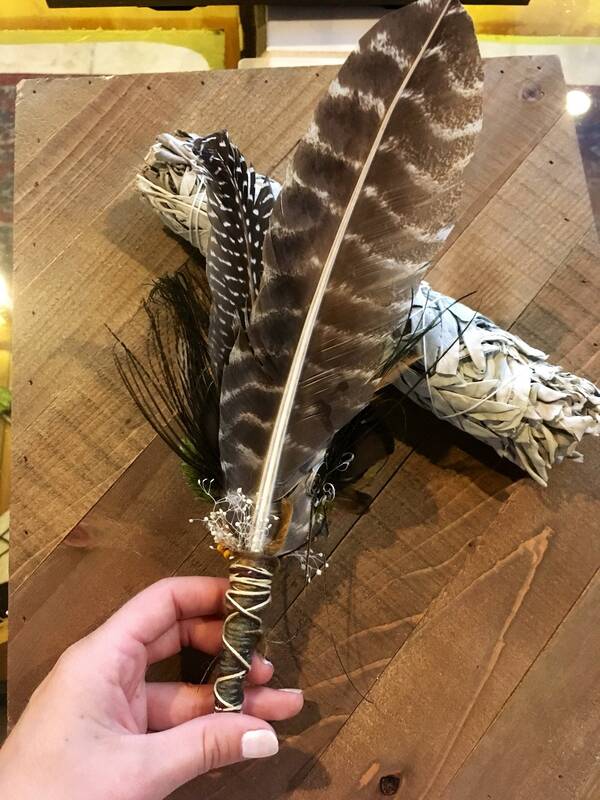 This fan was made to help spread your smudge smoke through your area to help clear you and other around you if negative energies. 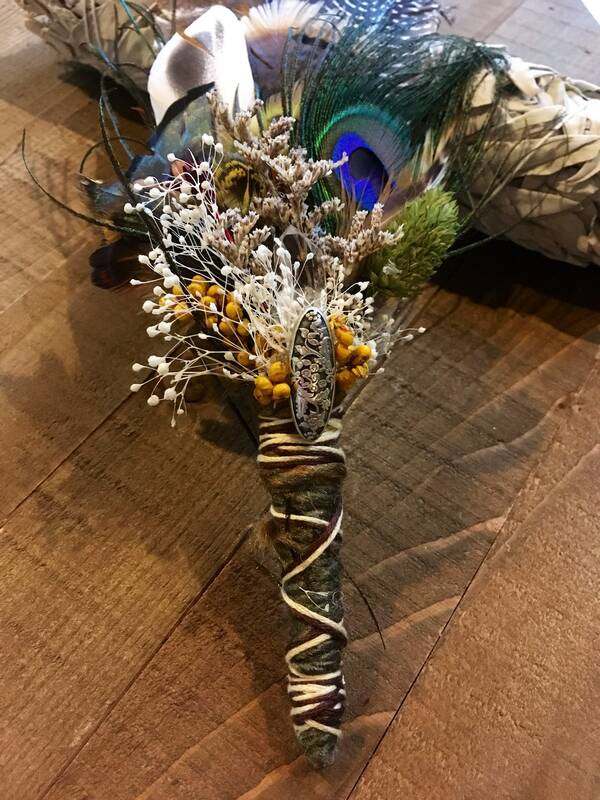 The smell of the white sage included has such a calming and relaxing effect. 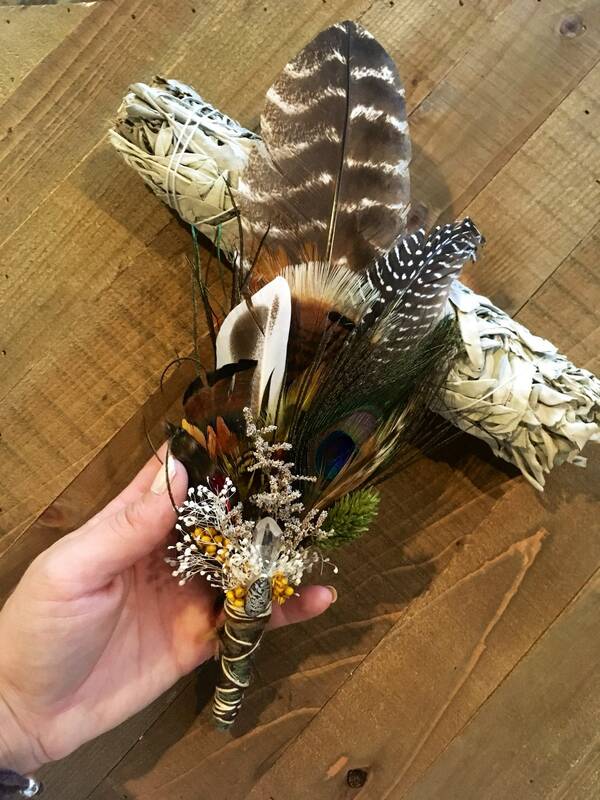 I use this whenever I am stressed and trying to relax.